Hey guys! 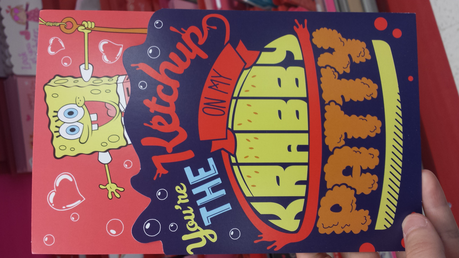 I'm trying to find some Spongebob Valentine's Day Greeting Cards. I'm not looking for the boxed cards that you would hand out in class. I know Target has the one pictured below. Does anyone know of any other stores that carry different cards?